Who would have thought it would be so hard to find the perfect family car!?? 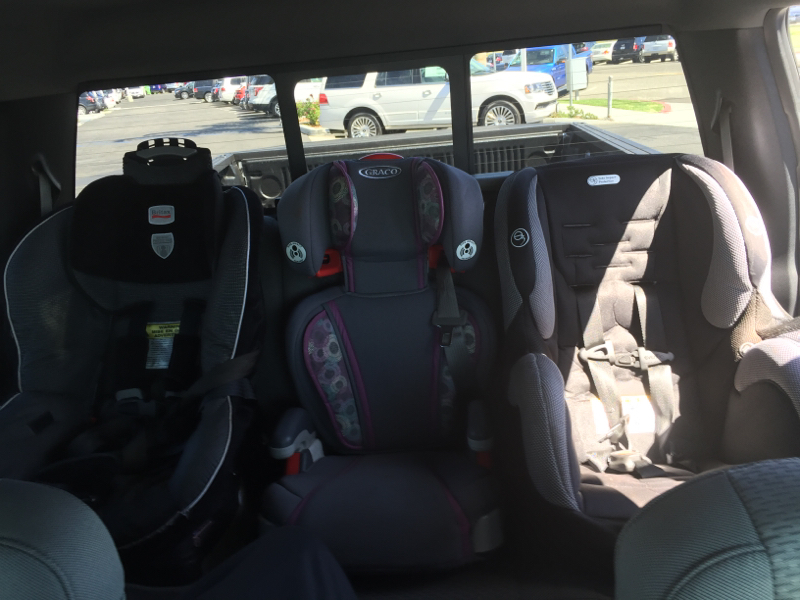 When we first started having kids, we bought a big 3rd row vehicle with lots of room to grow in and a built-in DVD player! It was really great for many years but it is now starting to get old and things are starting to break...it's time to find a new family vehicle and it has NOT BEEN EASY! We have looked at and tried out several vehicles already in our search for the perfect family vehicle. And one thing I have learned for sure is what to do and what NOT to do before buying that "perfect" new family car! Let me save you the time and hassle by giving you the tips ahead of time so you don't make the same mistakes we have made! 1) Research vehicles that you think will fit your needs AHEAD of time and before you load up ALL the kids, head out in the cold and spend hours staring at car after car until they all blend together! Check out helpful sites like cars.com and others that will give you the info you need on the cars you are interested in. You can find out info like does it have a 3rd row, what are the different engine options, is 4-door, etc. 2) Before you buy a vehicle, make sure ALL your car seats fit in the backseat! I can't tell you how many times I have been frustrated by how big car seats are, how many I am and how short my children are so that they can't safely move to a smaller booster seat 😊. I have learned that many backseats do not fit 3 car seats safely or comfortably - so MAKE SURE you try your car seats in a vehicle BEFORE you spend all your money! 3) Ask others that you know how they like the vehicle you are thinking about buying. You will not get the truth all the time from sales people and car dealerships but you will get the real lowdown from others who have used the same vehicle you want. They can honestly tell you what they like, what they don't like, etc.